Cool! 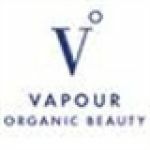 Save an average of 20% on Vapour Beauty with 13 Coupon Codes, and 8 Deals! Details: Save 30% on All Vapour Products + Free Shipping & Eyeliner with Purchases $75 or more. Excludes samples. Eyeliner available while supplies last. Offer ends 11/26/12. Details: Get 25% off all full-sized products. Details: Save 40% on Vapour Organic Beauty Aura Multi Use Blush. Details: Get a free mesmerize eyeliner with purchase of clarity makeup removing cleansing oil. this week, buy vapour product & get a free siren in desire free! Details: This week, buy Vapour product & get a free Siren In Desire free! Details: Get a Free Eyeliner Gift & Free Shipping with Any $75+ Purchase. Offer valid while supplies last. See site for details.